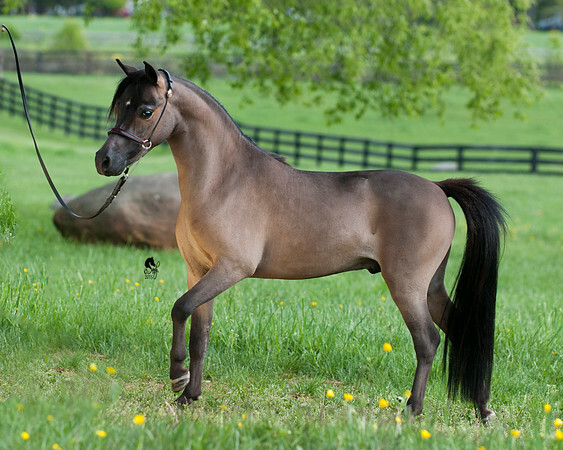 Baybee is our Arabian in Miniature, this is the look and natural movement we are breeding for. Baybee was foaled in 2013 and is out of our 2X World Champion mare Secret. 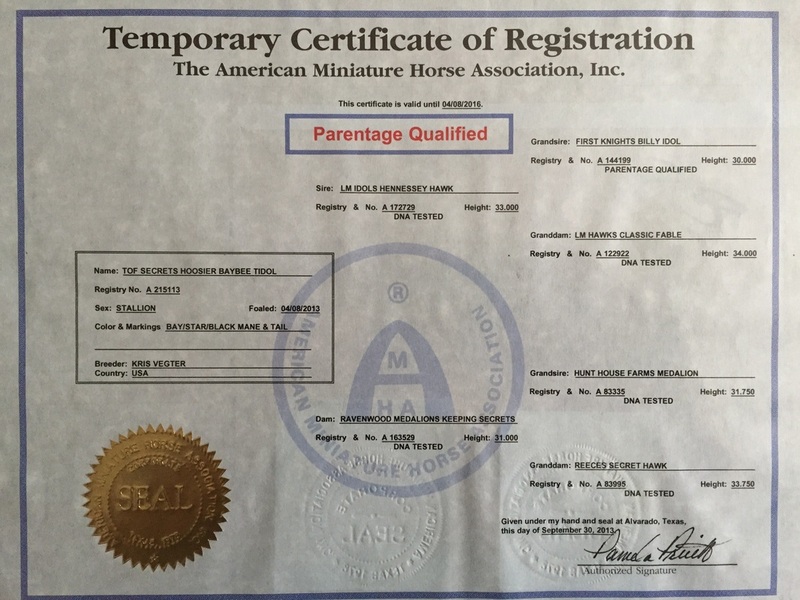 Baybee is a grandson of World Champion First Knights Billy Idol and National and World Champion Hunt House Farms Medalion and Great Grandson of the Legendary 4Gs Little Kings Alfalfa Pleasure (Hawk). Baybee is 33.75" tall, AMHA and AMHR registered, and closely carries shetland blood that is desired in todays miniatures.